Some Days Ago, I have published an article about “Free Backup Your System, Disks and Files with AOMEI Backupper 3.2“. Today I came up with a new topic of Cloud-based Manged File System. It is free. Cloud drives are becoming more and more popular in recent years. Most people use all kinds of cloud drives now, such as Dropbox, OneDive, Google Drive, and Evernote and so on. Users have the freedom to store their files in a centrally accessible location (the cloud drive’s URL) and upload, download or edit data. But the more cloud accounts you have, the more work it takes to keep up with them. What if you could manage all your cloud drives from one simple interface? MultCloud can help you managing multiple, separate cloud storage services easily and transfer files from one onedrive account to another, the new version of MultCloud 3.7 supports cool mega cloud drive, and optimize other transmission function, it will be more conveniently and smoothly for users! What’s new in version 3.7? Add mega and Evernote cloud drives. Add preview support of text files, such as txt, html, and js. Fix the bug of transferring Google documents between Google Drives to keep file types consistent. Amazon S3 supports that transferring a single file greater than 5 GB. Step1, when you enter MultCloud website, then click the Sign Up button at the top-right corner to start. You can also directly click ‘Experience without signing up’ to finish the registration. Step2, if you finished registration and login, you can add all of your cloud drives accounts in MultCloud. 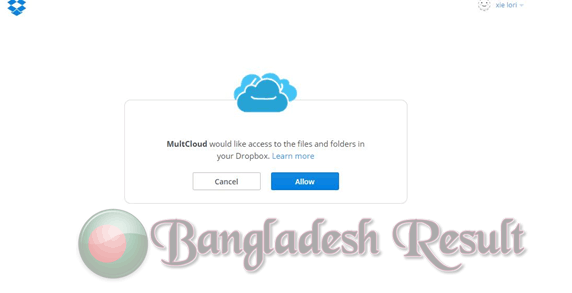 MultCloud 3.7 supports 26 services: OneDive, Google Drive, Dropbox, Amazon S3, Sugar Sync, Box, Copy, HiDrive, WebDAV, hubiC, FTP/SFTP and so on. Step3, here you need to click “Allow” to authorize MultCloud, this can avoid important information retrieved by a third party. Step4, when you’ve added all of you cloud accounts in Multicloud, you can manage and transfer your files in multiple cloud drives such as upload, download, cut, copy, paste, move, delete, rename, new folder, etc. Step5, MultCloud supports scheduled transfer. You’ll get 2TB of data transfer off the bat, and up to 10TB* transfer on the free plan. If you require more data transfer than this, the MultCloud costs start at around $4.99 per month (or $42 per annum – 30% discount if you pay yearly in advance). Considering the convenience, the cost is nominal in your books. Step6, if you need to extend the traffic from 2TB to Unlimited, this need you to copy the message in the following box or write a message including “MultCloud-Free App for Transferring Files across Cloud Drives” by yourself, and then share it to one of the social media: Facebook, Twitter, G+, Blog or Forum. At last, submit the shared URL to the text box below, then you will get unlimited traffic for free.